TRENTON, ON - MAY 5, 2017: Canadian Junior Hockey League, Central Canadian Jr. "A" Championship. The Dudley Hewitt Cup. Game 7 between Georgetown Raiders and the Powassan Voodoos. 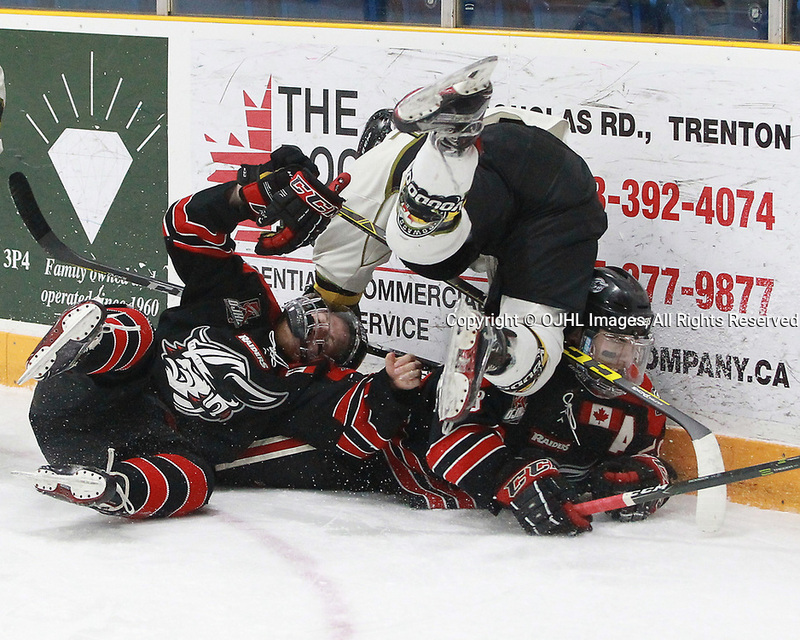 Parker Bowman #17 of the Powassan Voodoos makes the hit on Georgetown Raider's Jordan Crocker #9 and Josh Dickinson #28 during the first period.